At Wellfield, we believe that gifts should not only keep giving, but they should keep GROWING! And that’s exactly what’s happening at Wellfield Botanic Gardens. 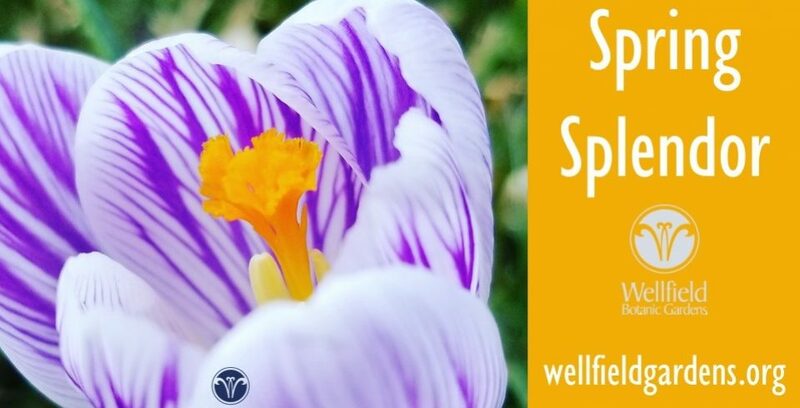 Every day at Wellfield is a new experience; new plants and features being added, flowers blooming, the changing weather, dramatic changes in seasons throughout the year – – it’s like a new Garden every time you visit. And of course, our Garden is literally GROWING! This year, we opened a NEW Children’s Garden, a gift from the Rex and Alice A. Martin Foundation, and next fall we’ll open our NEW Island Garden, an authentic Japanese Garden experience, a gift from Don and Jurate Krabill. The gift of Membership to Wellfield is a gift of beauty, of nature, a place of peace and health, of learning, and it lasts a whole year! Not to mention, Membership at Wellfield is a FREE PASS to over 320 other botanic gardens around the country including a dozen within two hours’ drive of Elkhart! Just show your membership card and you’ll be given free admission – – a tremendous value, all while supporting a private not-for-profit that relies wholly on private contributions. You can visit Fernwood Botanical Garden and Nature Preserve near Niles, Gabis Arboretum at Purdue Northwest (formerly Taltree Arboretum) in Valparaiso, Frederik Meijer Gardens in Grand Rapids, Foellinger-Freimann Botanical Conservatory in Fort Wayne, and of course, visit any of the Chicago metropolitan area gardens – -YES, at NO CHARGE, with your Wellfield Membership – – it’s all part of the American Horticulture Society’s Reciprocal Admissions Program and makes purchasing a membership a no-brainer when you consider the admission fees you’ll save! Discounts for specified WBG-sponsored special events including Winter Wonderland Holiday Lights (*hint-hint*), Groovin’ in the Gardens Summer Concert Series, our Mother’s Day Luncheon and more! Here are a few more photos of Wellfield throughout the seasons!